While I am still working waaaaay too much (Friday I already had six hours of overtime when I clocked in. By the end of the day it was closer to sixteen) I am preparing for going part-time later in the year. What this means, now that I have paid off the credit card, is to deeply pad the emergency account, so I will have plenty of cushion for when “life” happens. So I continue to look for frugalities that do not affect quality of life. 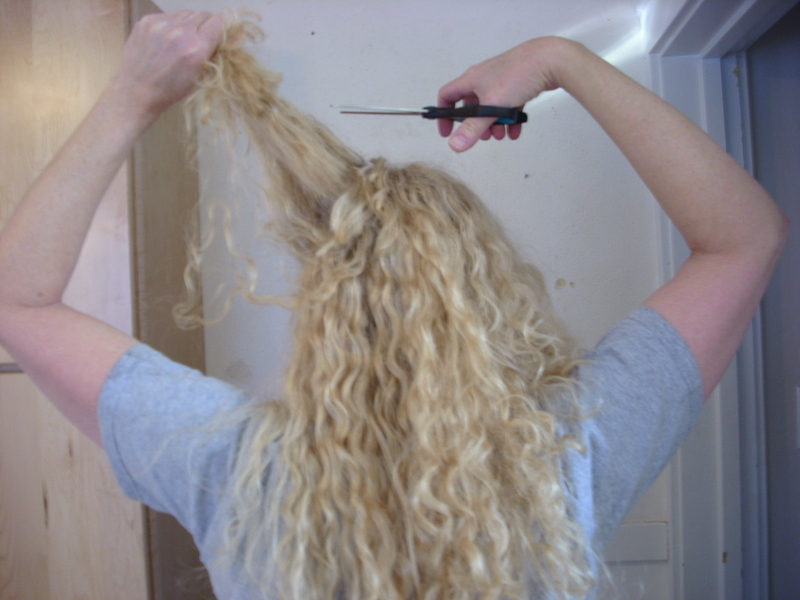 And because I knew my hairdresser would not be able to do the deed alone, I helped her by starting at home. My youngest says it "Looks British." Funding my Part-Time obsession one item at a time. As my regular readers know, I am determined to go part-time at work this year, which will require additional frugalities as I am committed to continuing with the music lessons for the kids and I still have 1.5 years of car payments. 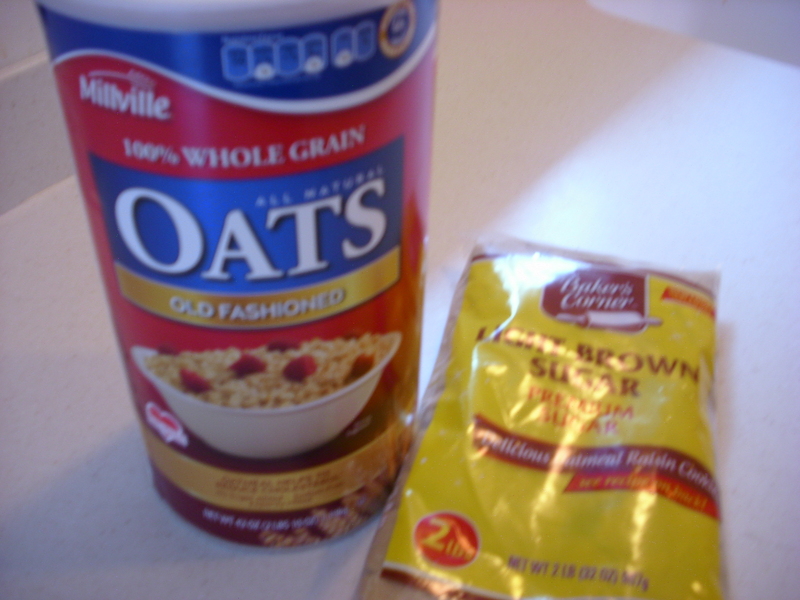 Soooo– let me extol the benefits of Oatmeal: 1) it will lower your cholesterol 2) its high in fiber, and will keep you regular 3) folks with celiac disease can eat freely 4) is there a less expensive breakfast? even if you are not considering the health benefits… 5) there are as many ways to dress it up as there are people on the planet. Let us consider the costs. 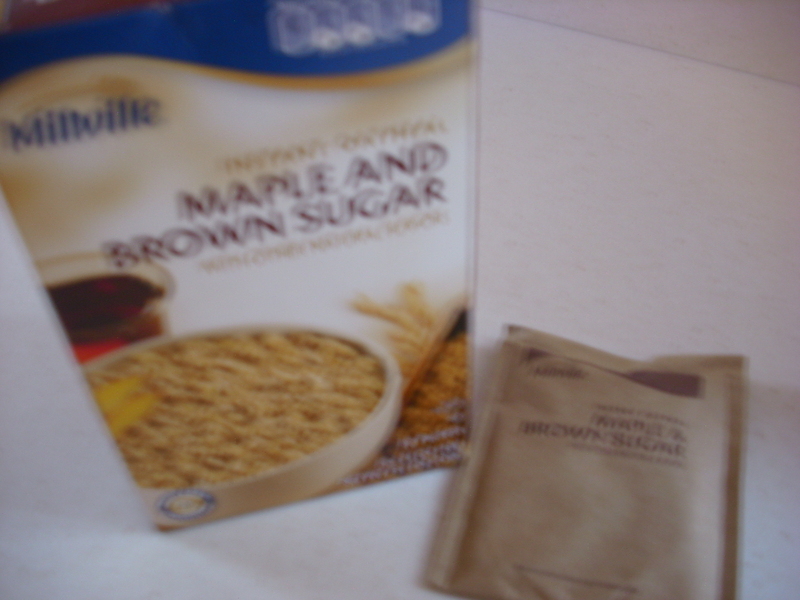 My daughter’s oatmeal is pre-made packets from Aldi, $1.39 for a box of 10 packets, or 0.14 each. 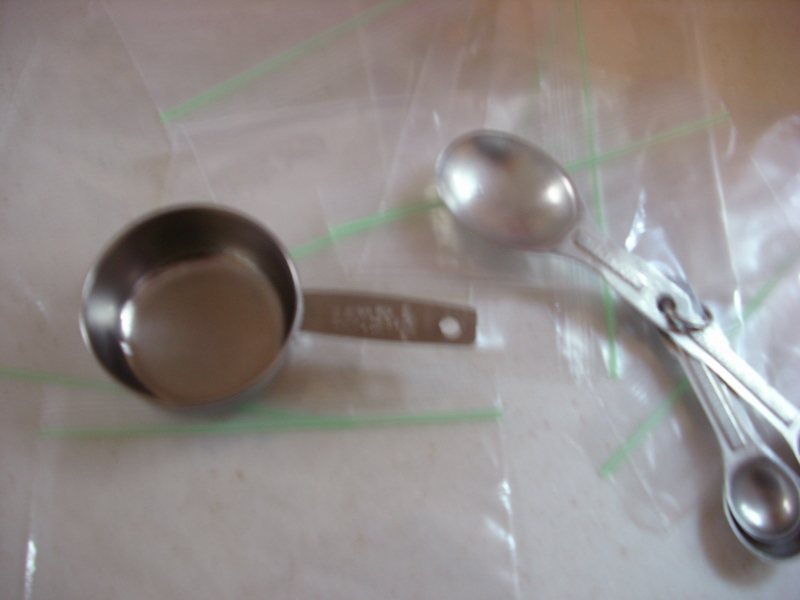 And using these two very high-tech tools…. Let’s do the math. 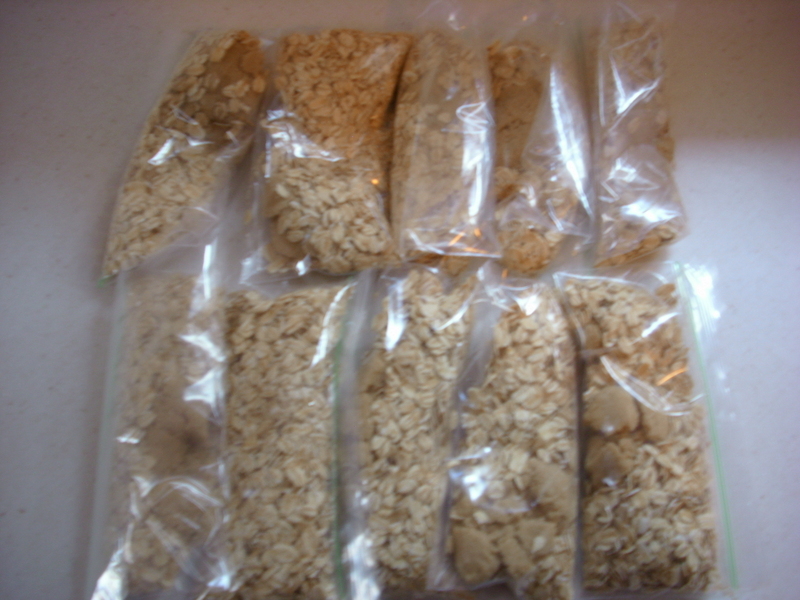 1/2 cup oatmeal 0.07 + 1 Tablespoon brown sugar 0.02 + plastic baggie (reused average 5-10 times before failure) 0.05 = 0.105 per daily breakfast. 195 healthy-start-your-day-calories for 11 cents. Whoop! Whoop! Today I paid off the credit card. Wednesday 1/11: Yard waste stickers $6.oo. Can you believe I am still getting the fall mess out of the yard? Friday 1/13: Final payment for beloved daughter’s Band Disney trip $195. Also a payday. $1,067.06 to pay off the credit card. Woo Hoo! Freedom! Happy Dance! Dear friends, do not imagine that I will slip into a post-credit-card induced spending frenzy now. No, not your singlemomenough friend. Watch here for the next report as I calculate my 32 hour/week salary and how I will meet expenses then. Smirk. You know I will. 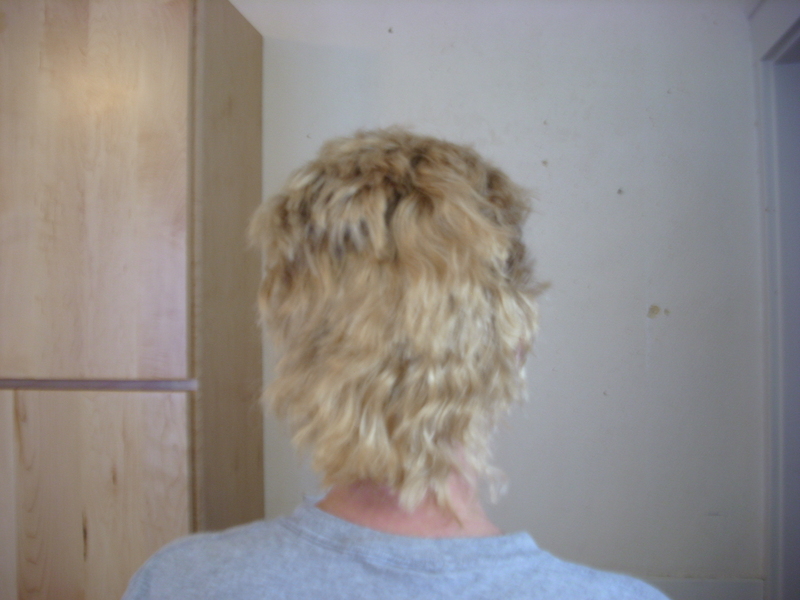 Also, I hope to have photos of the hair shaving event also…. This recipe is modified from one in the newspaper. In a dutch oven or stock pot, heat oil on medium for 30 seconds. 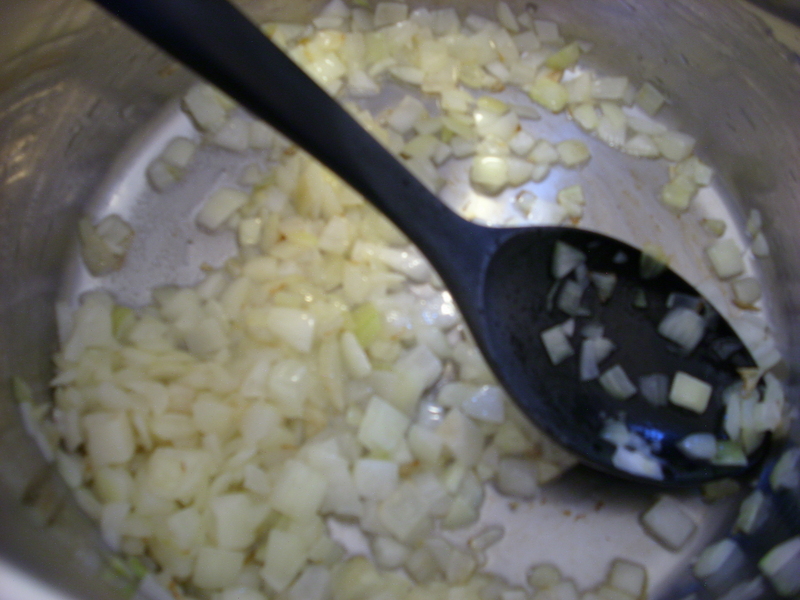 Add onion and saute for 5 minutes. 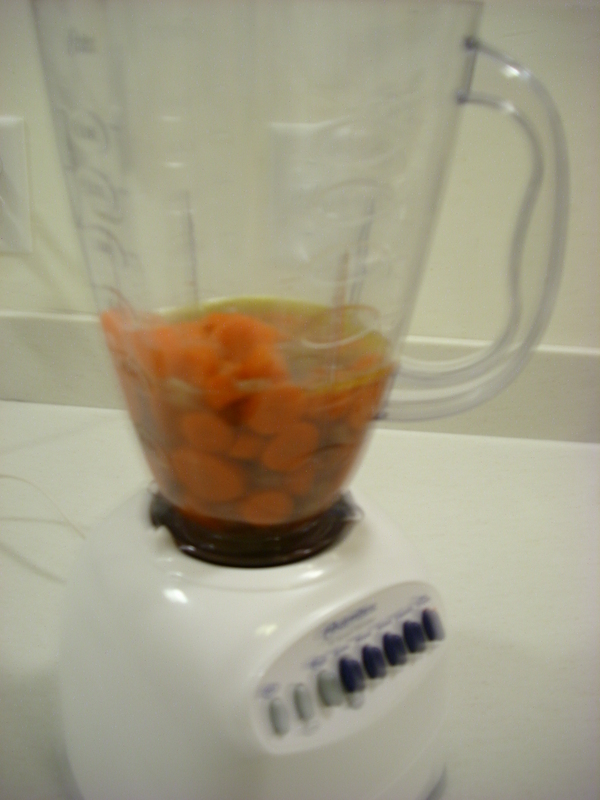 Add the broth, water and carrots. 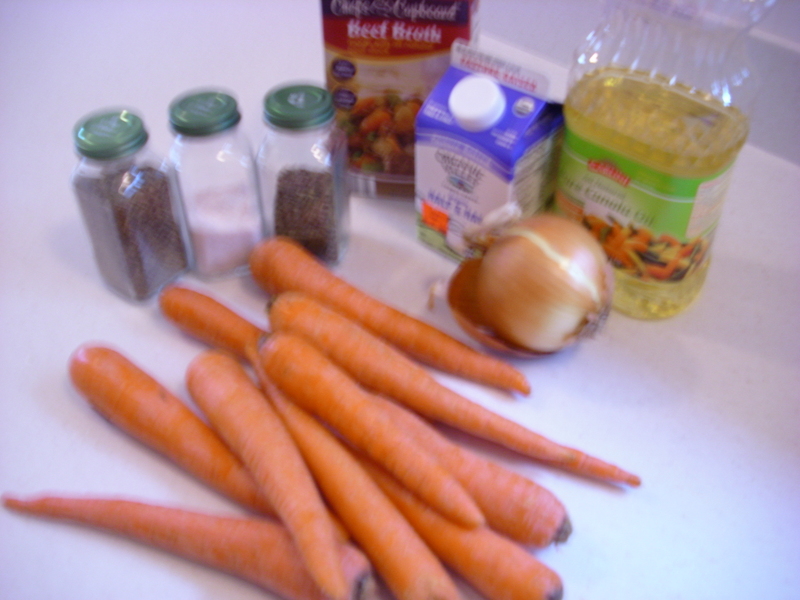 Bring to a boil, reduce heat and simmer for 3o minutes or until carrots are soft. Add salt and pepper. Set aside for 10 minutes to cool. 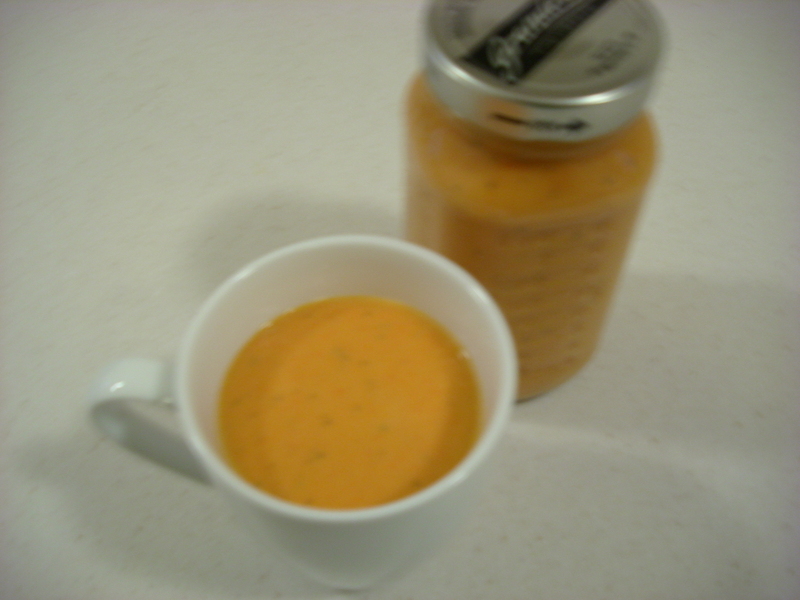 Puree soup in batches in food processor or blender. Pour back into your dutch oven or stockpot. Stir in half and half and basil. 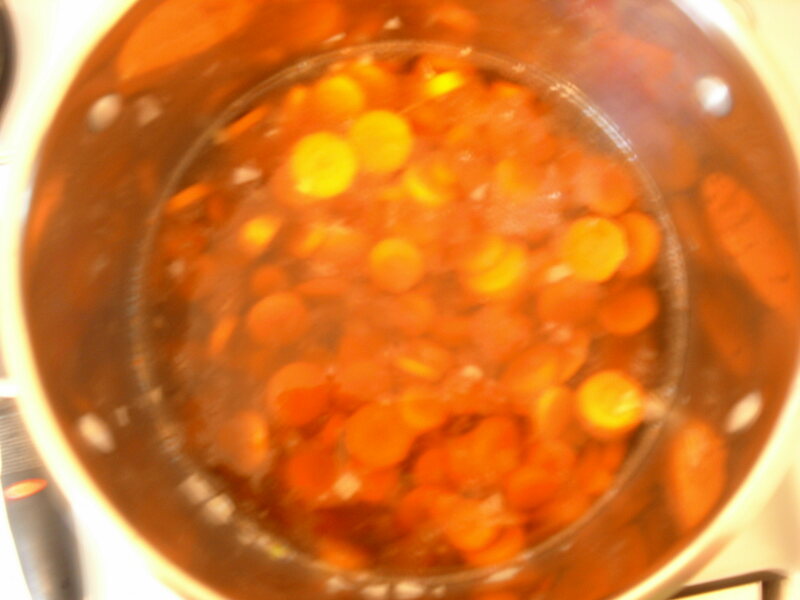 Simmer until very hot. You can add croutons and shredded cheese if you like. I plan on drinking mine from my coffee to-go cup for my lunch during work days. A 1.5 cup serving cost 0.84 and has 165 calories. January 2: $1.61 for ice (I know, I could make it at home, but work/life intervened and I ran out of time before the 7th grader party.) The party involved 13-year-old boys, electric guitar, silly string, drum set, a cooler of soda, a bag of chips and M & Ms. I think the party was successful…but with 7th grade boys it is hard to tell. Also spent $7.05 on a jar of yeast. January 3: Internet service: $29.95, Drum lessons for the month $80.00, gas for car $28.53. January 4: no spend day. January 6: no spend day. January 7: no spend day. 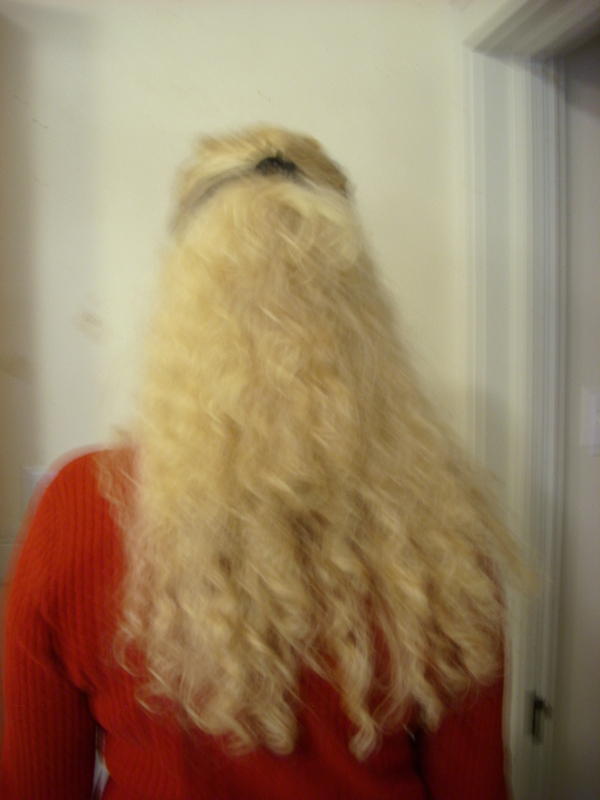 Actually, I had big plans for the day–work out at the gym, grocery shopping, leaf raking and other errands. But I woke up tired and decided that I needed a jammie day. Do not get me wrong, I have been productive: 5 loads of laundry, changed the burnt out light bulb, put away everything in the house that was out of place, ironed 1 week’s worth of work clothes, read a novel, cooked carrot soup (will post about that later,) washed the globes in the dining room fixture, cleaned several windows that have gotten missed during regular house cleanings, scrubbed the tub. But I never changed out of my jammies and I didn’t leave the house all day….and it feels like a week’s worth of vacation. 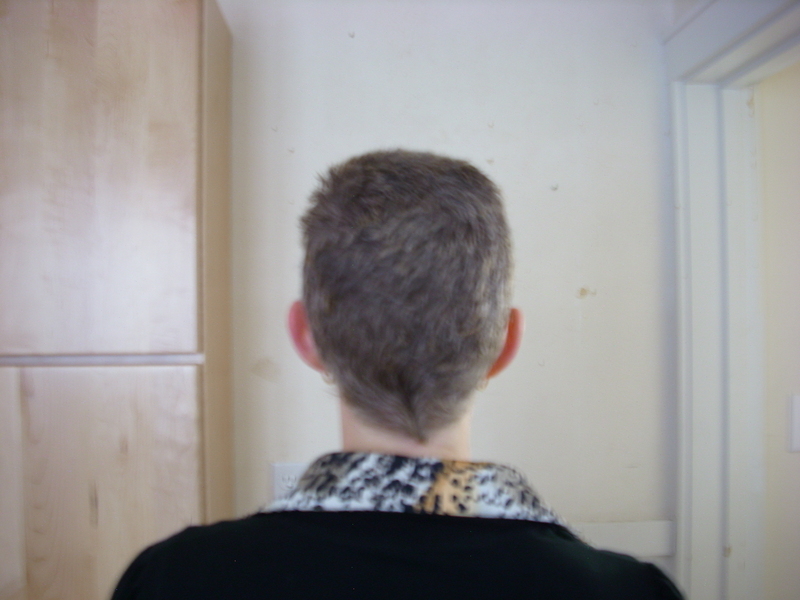 12/25: I was down to 5 work outfits, one fading fast and yesterday had a catastrophic failure on a second outfit. So….I did what any red-blooded American would do on Christmas day…..I went shopping. I bought 2 pair of pants and a dress on-line. $119.49 for the clothes, free shipping. 12/26: working again, no spend day. 12/27: More clothes shopping-3 sweaters, a long-sleeved top and a T-shirt. $99.32 A yoga/exercise mat $21.60. Soda $1.29. 12/29: The best $5 I have spent all year– For the Easily Amused Teen Improv Troupe Alumni Show. Middle son is a member of the troupe. I laughed so hard I about wet myself. 12/31: Grey thread to repair 2 clothing items .80, razors for me$26.13 for 10 (I’m going to see if I can make them last a year,) toilet paper for the household $6.79, groceries $126.63, book from Goodwill .81, briefcase from Goodwill $2.12, dress for beloved daughter from Goodwill $5.39, and last but certainly not least $15.00 for me to get into First Night. The kids got in free as some of the films they have made were being shown. Things are looking very good to pay off the credit card in January. All in all, it’s been a great year.